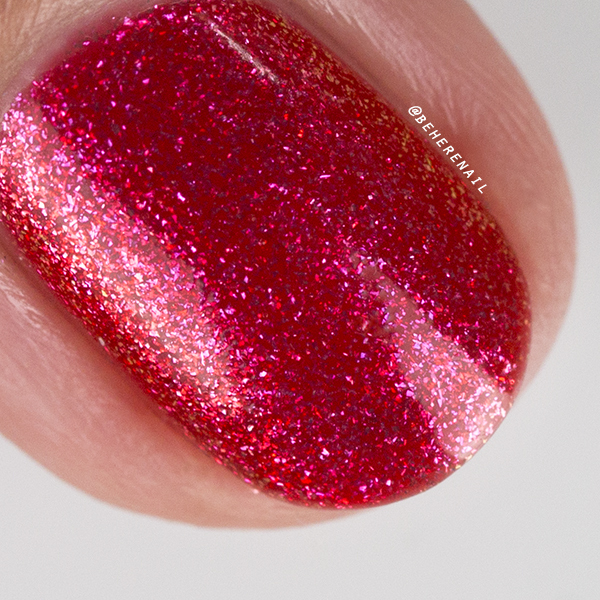 I have been meaning to get this review up forever but it took me a while to get my lighting the way I wanted it for these pics, as this post is long overdue, these photos will have to do! 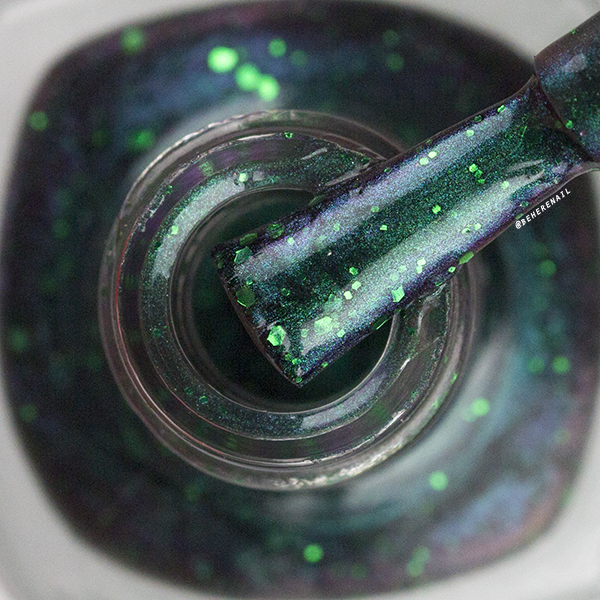 That being said, Born Pretty Store's Chameleon Polish 33 is nothing short of amazing! 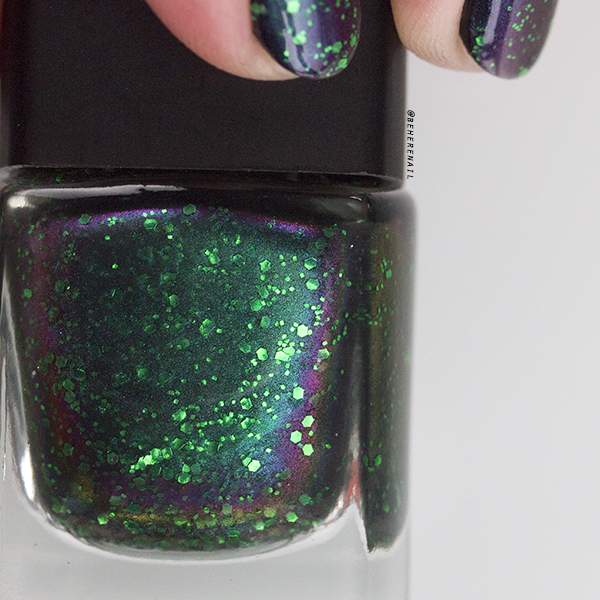 It isn't exactly a holographic nail polish, but this multi chrome topper packed with iridescent green glitters looks mind meltingly gorgeous over dark nail polish. I am wearing one coat over a black base and my usual Topped With Love by Shop Love Angeline in these photos. 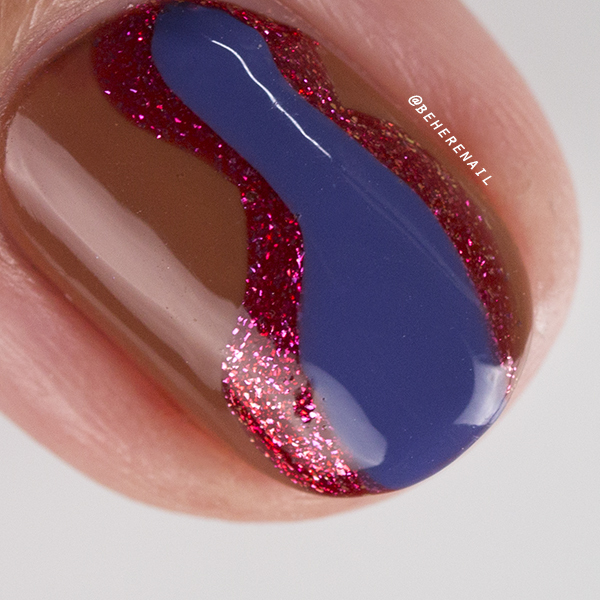 I mattified this polish but I much preferred it glossy, the shift was more visible, and my goodness is it epic! A second coat is entirely unnecessary and at $6.99 per 6ml bottle, you won't want to use any more than you have to. I don't think it is crazy astronomically priced, though it's the cost equivalent of a fairly high end indie. 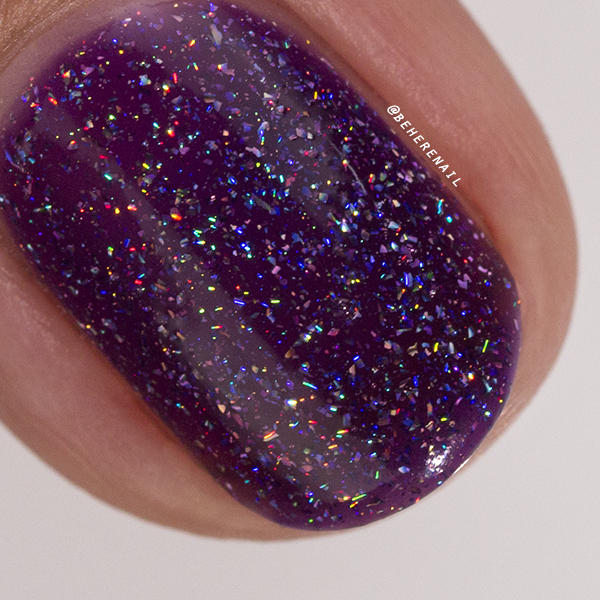 A gorgeous polish that I am really happy to own, either way! If you are headed over to Born Pretty Store to check out this beauty, be sure to use my code JUSQ10 for 10 percent off any full priced items. Until next time, lovelies! I have been itching to do more blogging and I can't think of a better excuse than a birthday in the nail community! Especially one as special as Kelly's @kpnailexpressions. This darling touched my heart with her kind spirit and I am really excited to celebrate her birthday for the first time! Kel loves purple like many of us, but more surprising is her love of storm chasing! 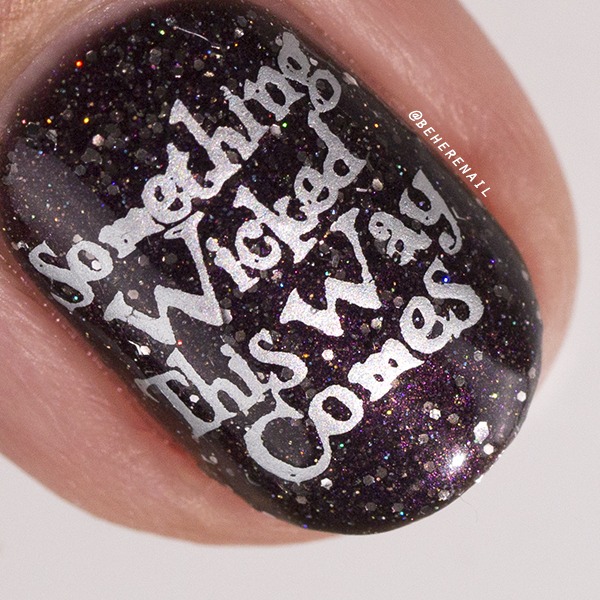 Yeah, for real, and since I'm not nearly that brave I got cutesy with it using these friendly storm stamps by ÜberChic Beauty! Yep, just making some decals! How do you like these pictures of my products used instead of long, convoluted descriptions, is that better? I sure hope so! 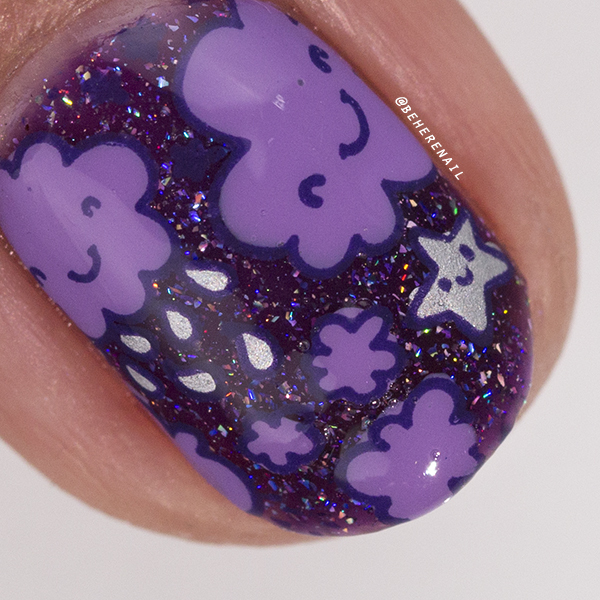 This base polish that seriously rocked my world is from the ILNP Spring 2016 Jellies collection and it's called BFFs. I only used two thin coats here! What do you think? I am having a lot of fun taking pictures of polish lately and I would love your feedback on the extra images. Is it a feature of my blog or are you tired of scrolling? Let me know in the comments, I will see you all soon! 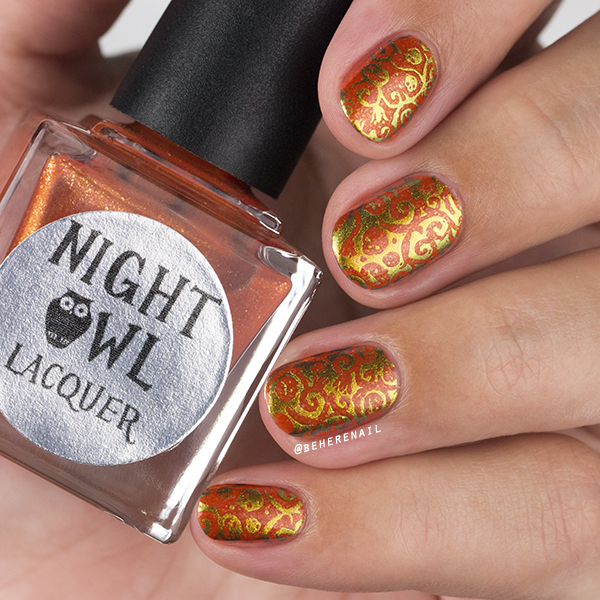 I have the pleasure of introducing you all to a spankin' new indie brand called Night Owl Lacquer! 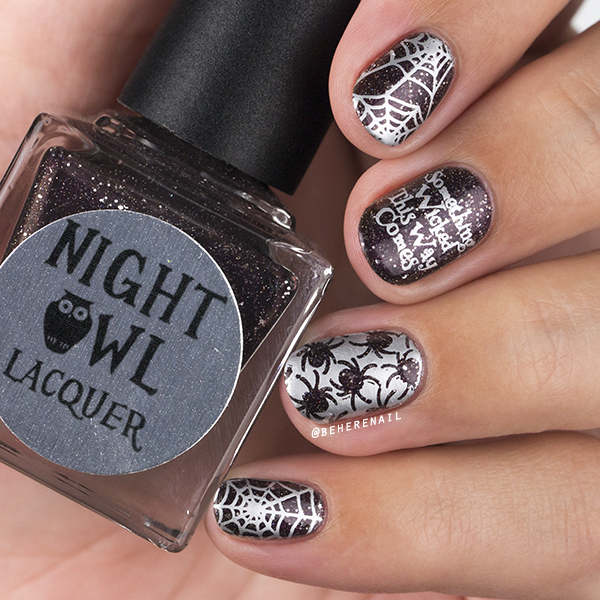 Lindsay is releasing her first polishes ever on September 24th and they're all part of a darling Halloween trio that has definitely gotten me in the mood to get spooky! 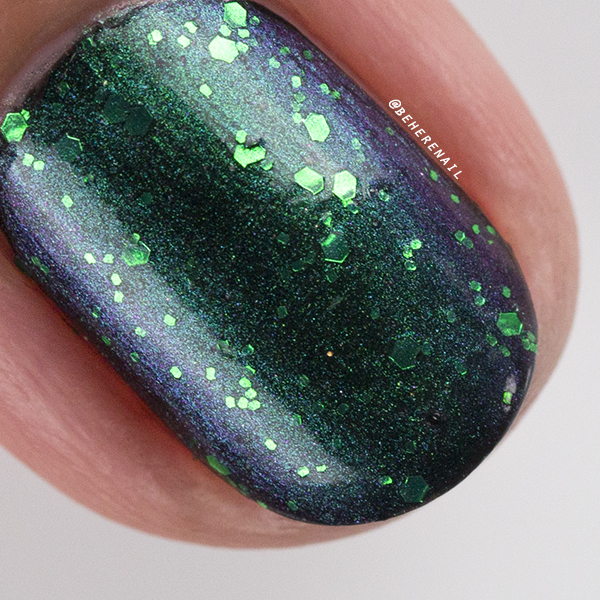 Let's get right into the swatches because once again I have a TON of nail art to share as well! 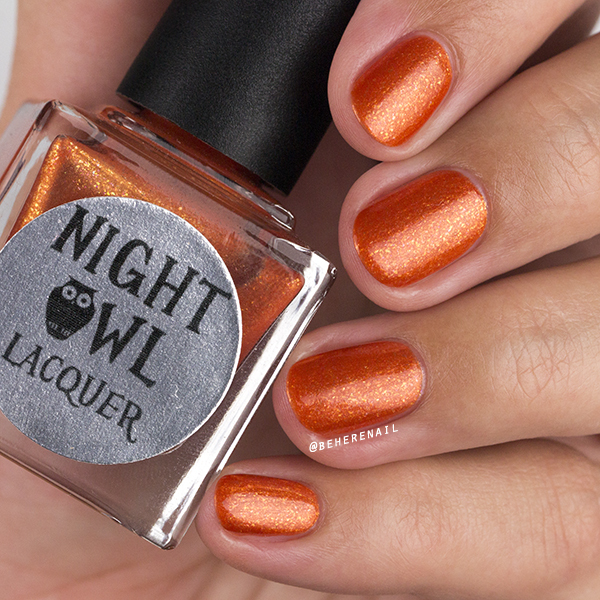 This beautiful orange with a crazy inner glow is fittingly named Jack-O-Lantern! 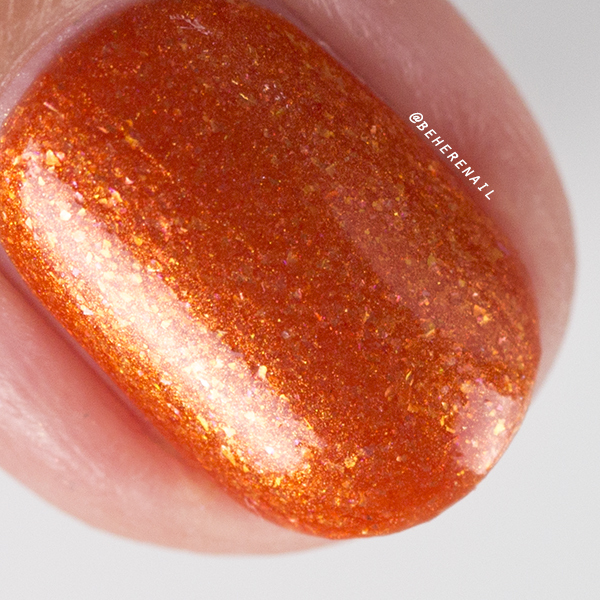 It's loaded with pink and gold micro flake and golden shimmer in a beautiful orange base. 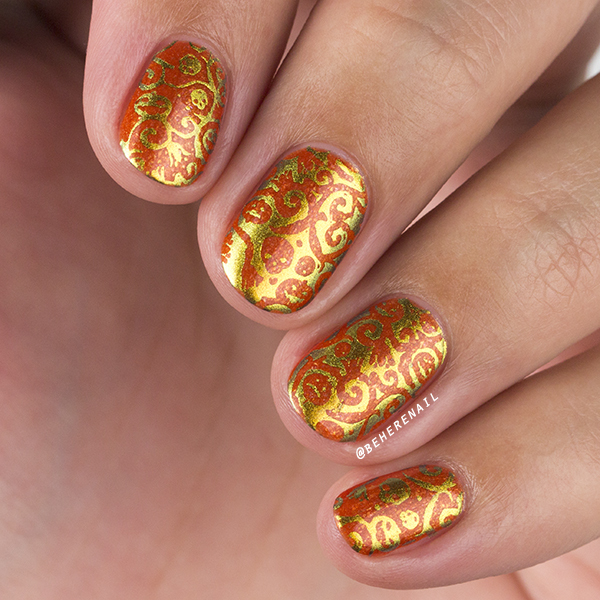 I love orange polishes and this one is so unique, with a fantastic formula that's opaque in two easy coats! 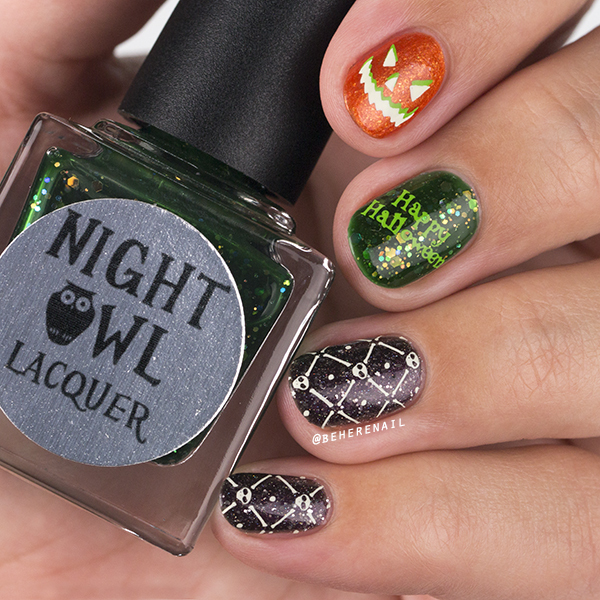 I used the new UberChic Beauty Halloween 02 plate to show off this trio, because what could be more perfect?! These pumpkin vines riddled with skulls have got to be my absolute favorite images on the plate! 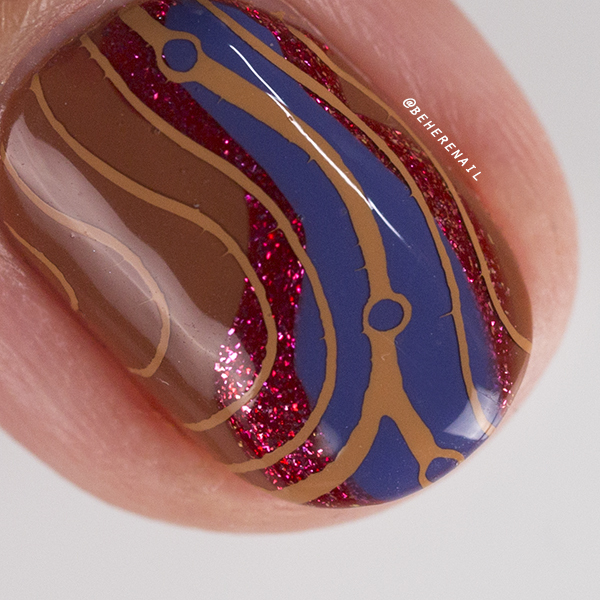 I used Kaleidoscope Stamping Polish in Egyptian Scarabeus here as well. 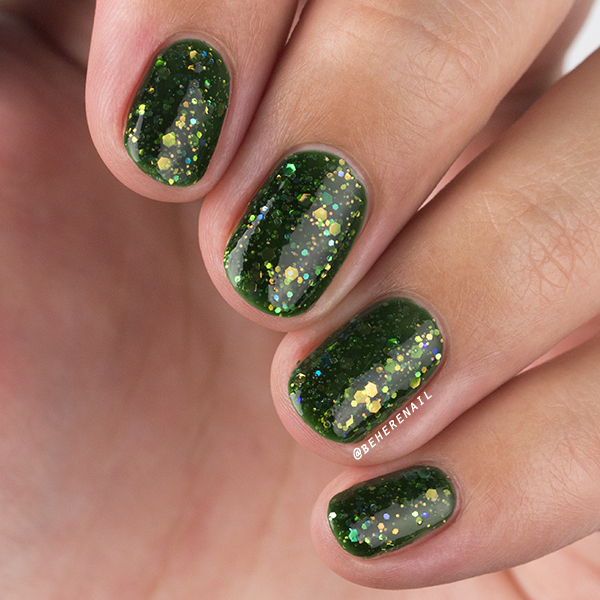 Not surprisingly this green glitter jelly called Witch's Brew is my absolute favorite of the bunch! 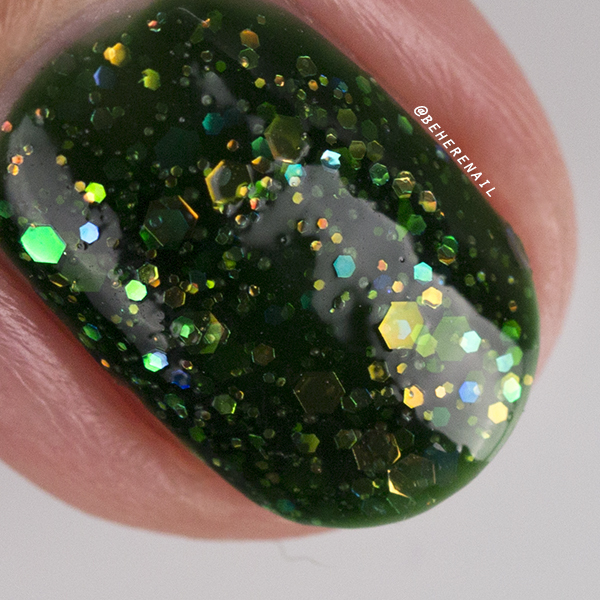 Another flawless formula that was opaque in two coats, this one is just loaded with multi sized iridescent hex glitters. 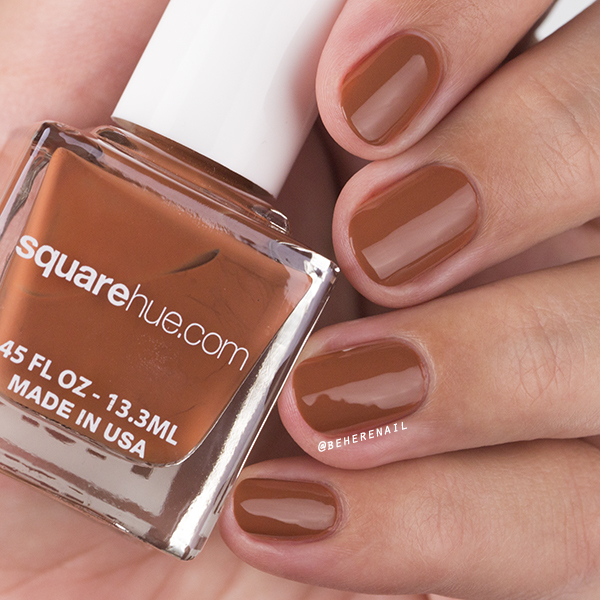 I will be turning to this shade a lot, all year round! I couldn't resist these darling skulls, yet another reason I bought the plate!!! Aren't they just the cutest? Haha, and oh so scary! 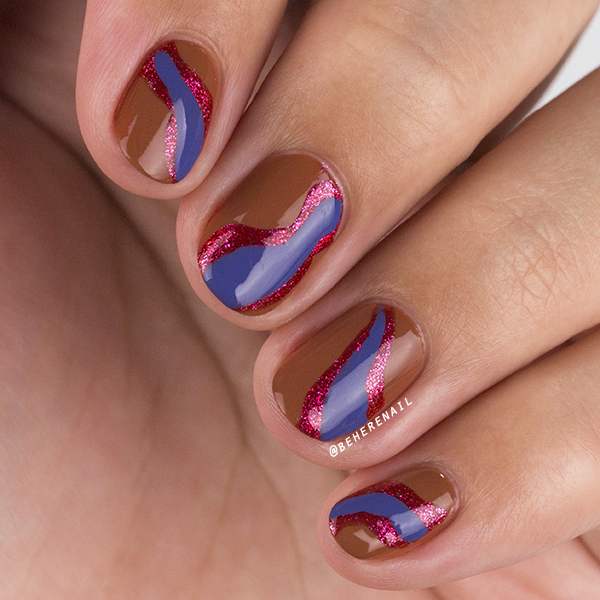 This look was stamped in Mundo de Uñas Velvet. 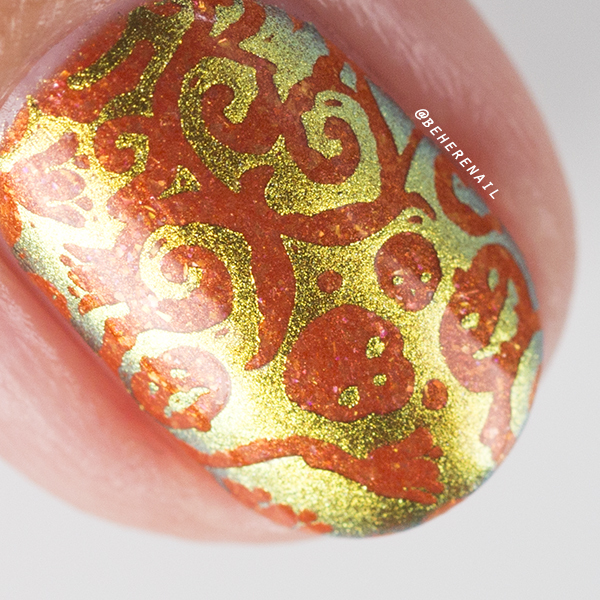 I really love the way the glitters pop through that negative space stamping! 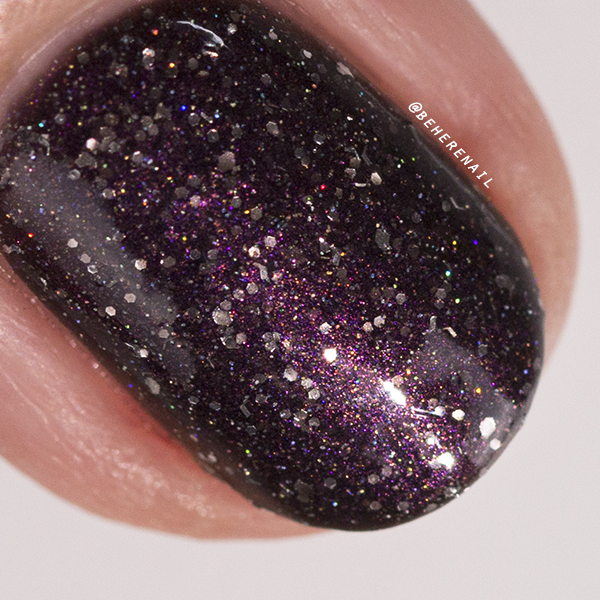 Last but definitely not least is this stunning blackened purple called All Hallows Eve. 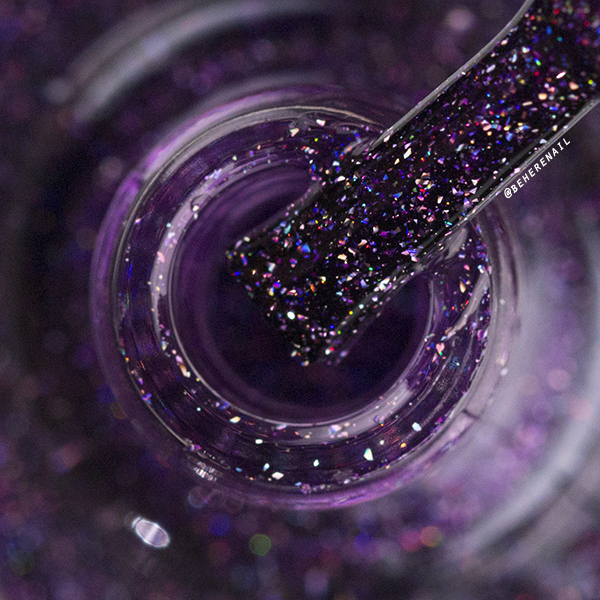 I can't get enough of the purple shimmer, glimmering holo and bright silver sparkles coming through. 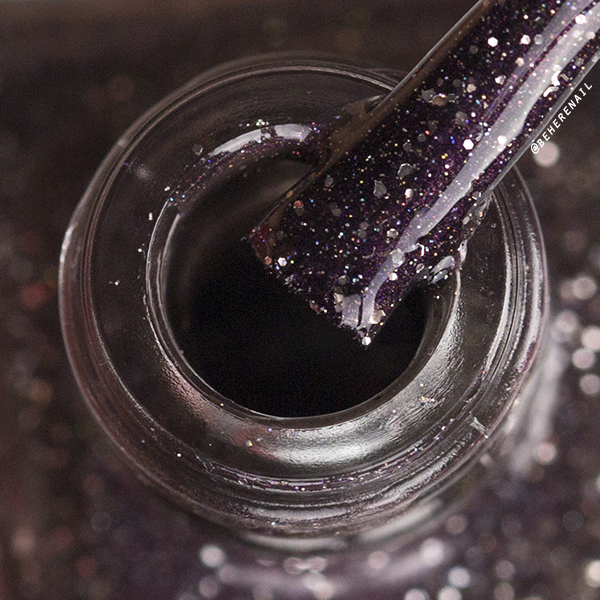 This is one vampy shade that will look amazing through Fall and Winter, or any time you need your vamp fix! 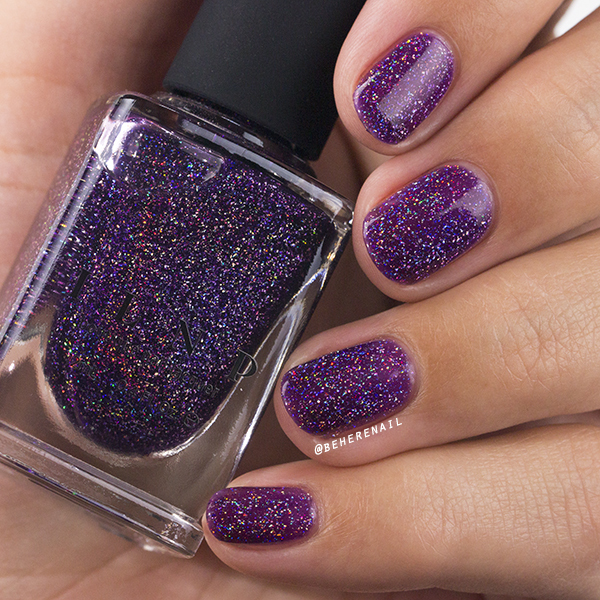 Again a fantastic formula, opaque in two easy coats! 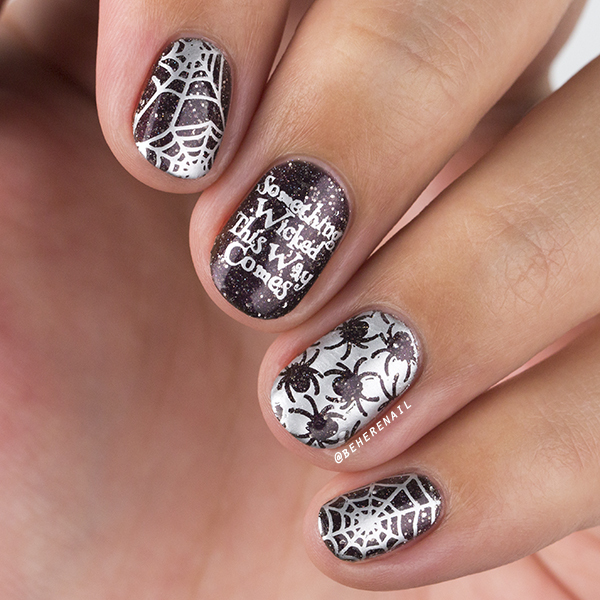 I thought these spooky spiders and webs stamped in Mundo de Uñas Silver would be perfect over this shade, but I also couldn't resist using the trio as a trio! You know, use the sword as a sword! Bonus points if you get the reference... anyhow, here's what I came up with! 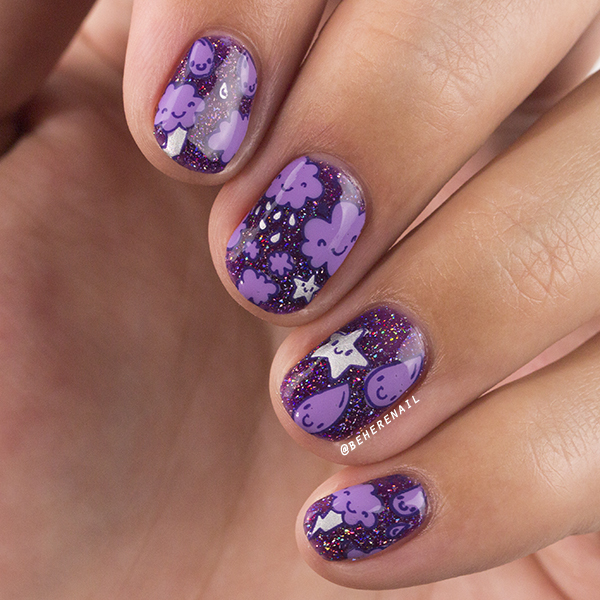 Definitely my favorite of the four manis! 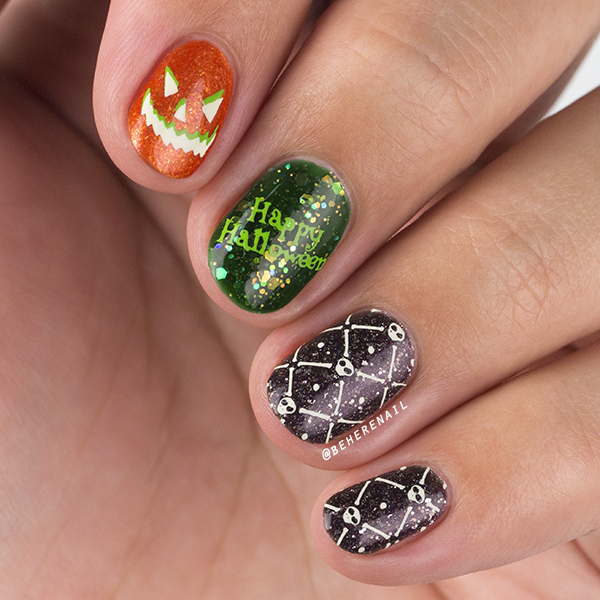 I used Mundo de Uñas Bones and Lime Tree for this one, and I can't get over how cute that skull pattern is! Do you guys have a favorite of these three? 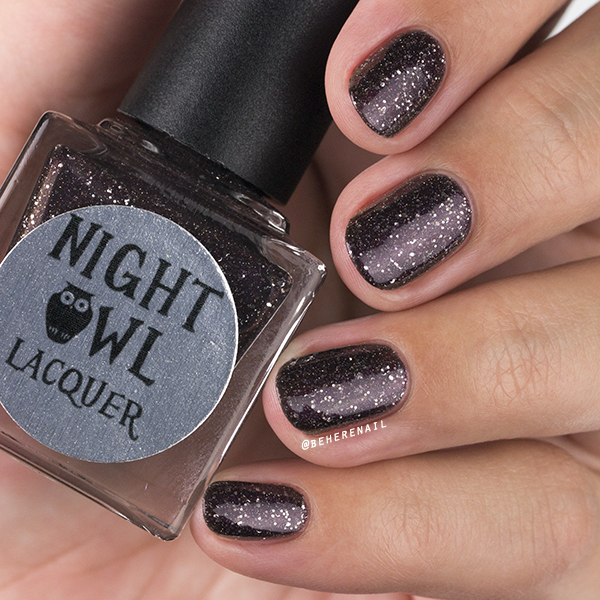 Let me know in the comments and be sure to give Night Owl Lacquer a Follow! 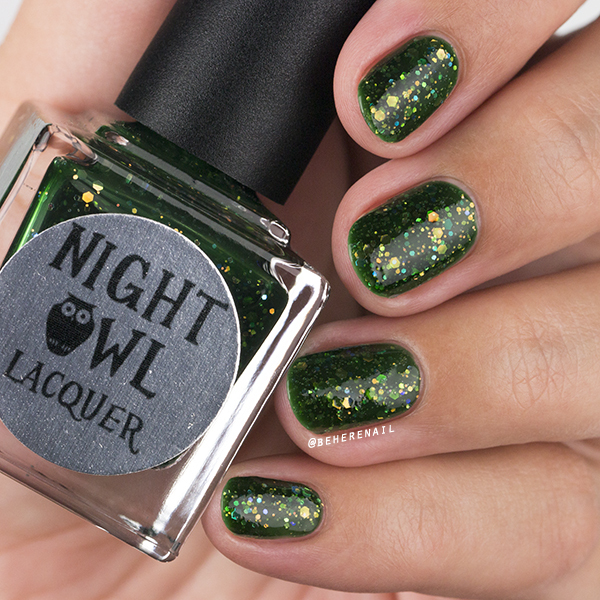 These will be available for purchase on September 24th at nightowllacquer.com. Yep, it's that time again! 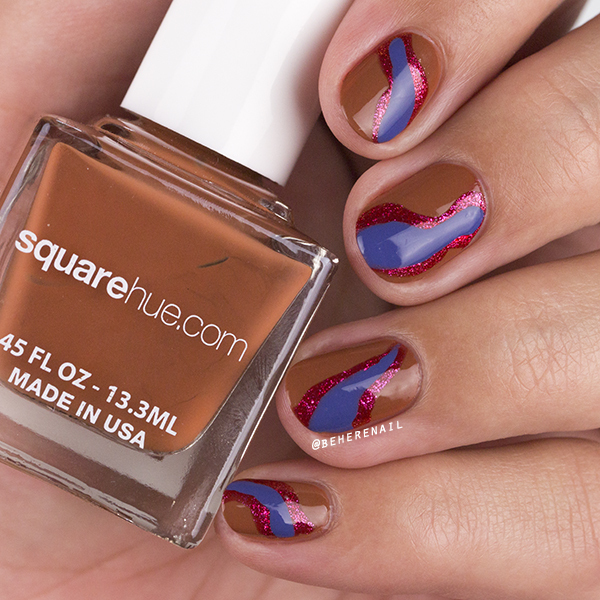 September's Square Hue box from the Adventure collection is another instant favorite with two incredibly unique creams and a gorgeous color shifting microflake polish! 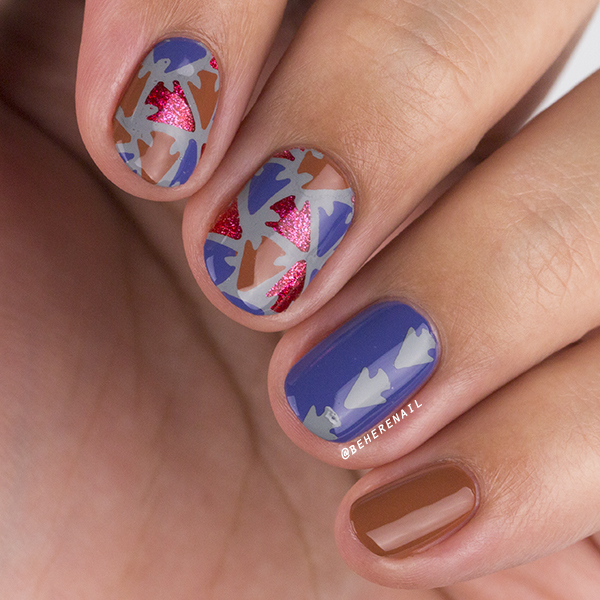 Yeah for real, let's jump right in because I have a TON of nail art for you loves! First up in the Explore Antelope Canyon box is my favorite of the three, Slot Canyon! 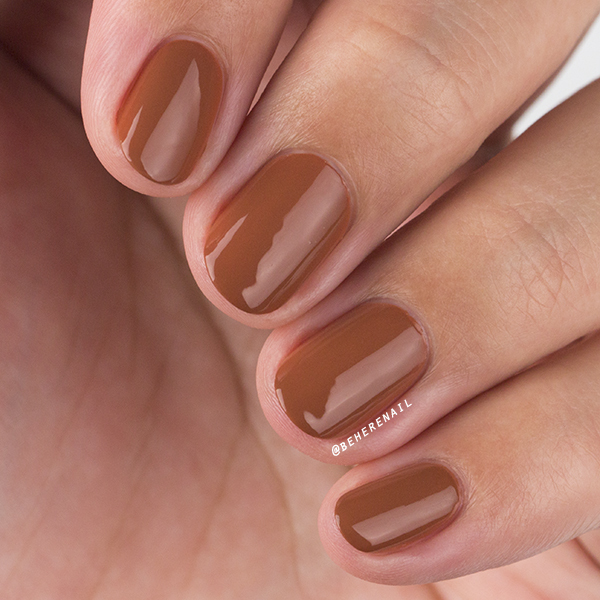 This caramel cream is simply dreamy, shown here with two coats and Topped with Love by Shop Love Angeline. 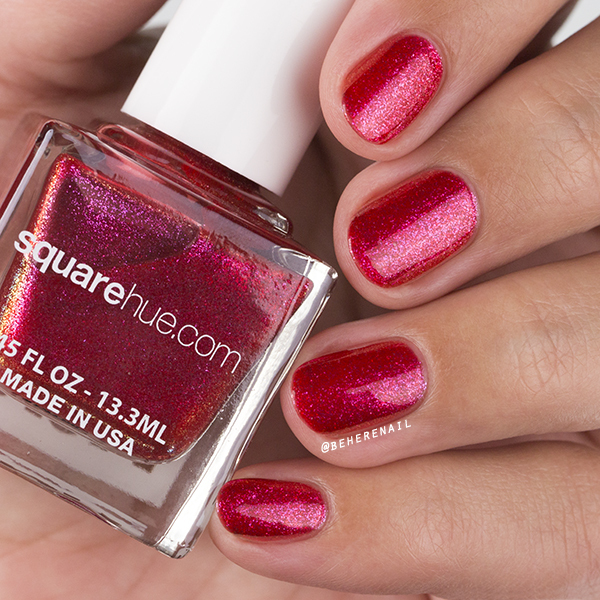 As I've come to expect from Square Hue, this one had a beautiful formula with super smooth application! Next up is Corkscrew Canyon. 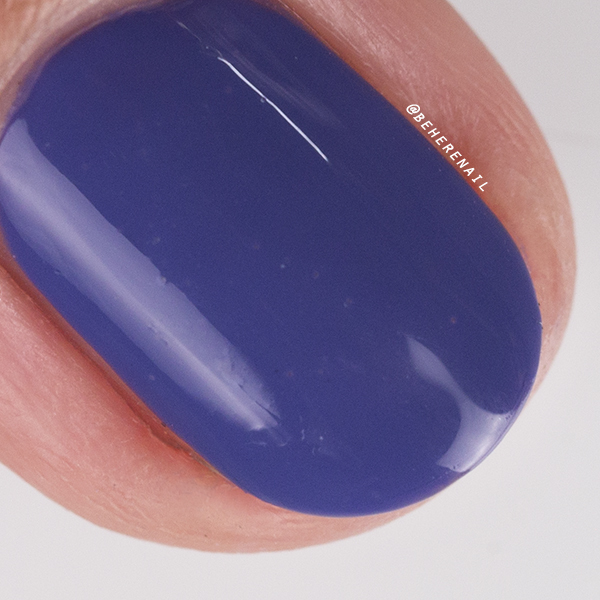 This cream is a dusty blue that has some serious lavender undertones! I have absolutely nothing like this in my collection and it has the same wonderful formula as Slot Canyon! I absolutely love it! 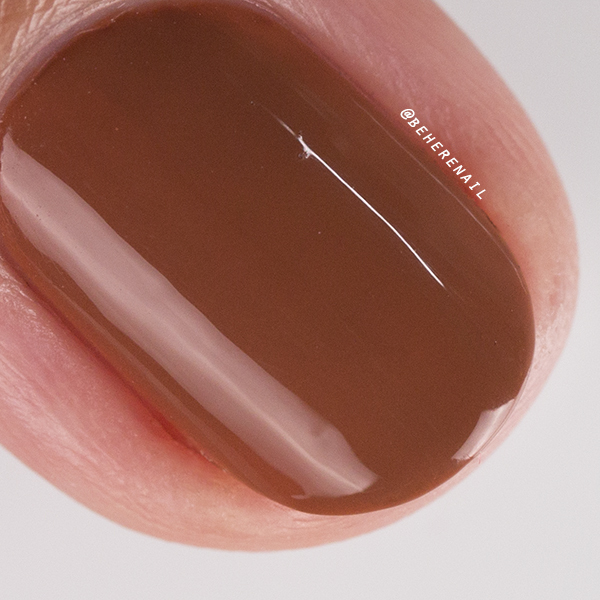 Shown with two coats and topcoat. Sandstone is a strawberry red jelly with gold to pink color shifting shimmer, as usual I had a hard time capturing it but it's quite evident in the macro and dramatically flashy in person! I think this will be a favorite for many of you. 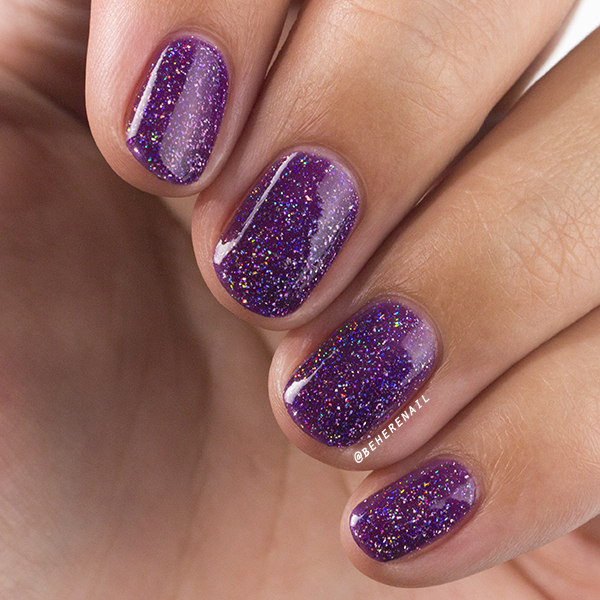 Again a wonderfully easy formula, shown with two coats and topcoat. 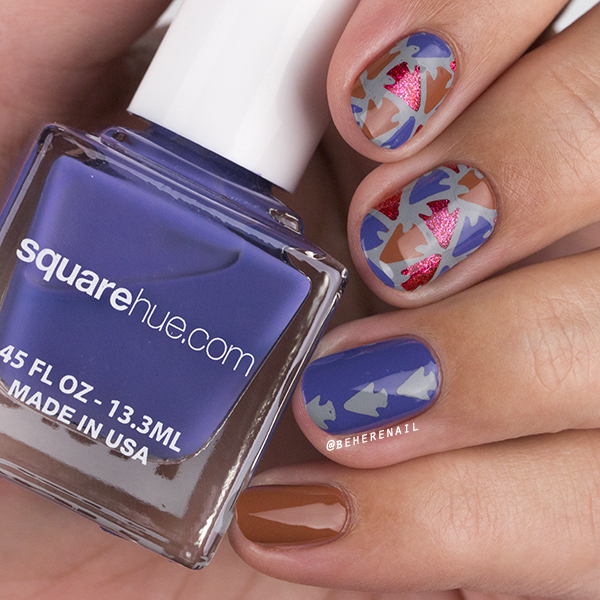 I always have the most fun letting the shades inspire my nail art with Square Hues boxes, so I got a little experimental this time! I freehanded these sort of abstract lines to a pretty fun result, but I think it's even better with some stamping! 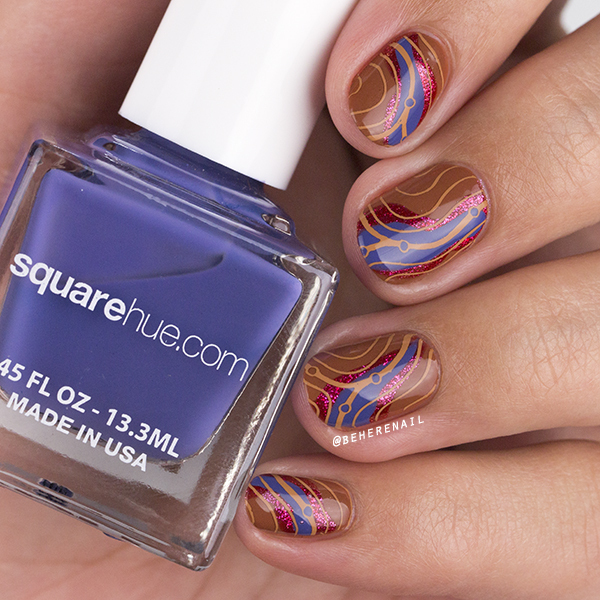 I used this amazing topographical map stamp from the new ÜberChic Beauty Outdoors Mini plate with Mundo de Uñas Piñon. I was absolutely smitten with this desert map mani. What do you guys think? For this one I once again turned to ÜberChic, but I went back for more from the Wild West 02 plate! 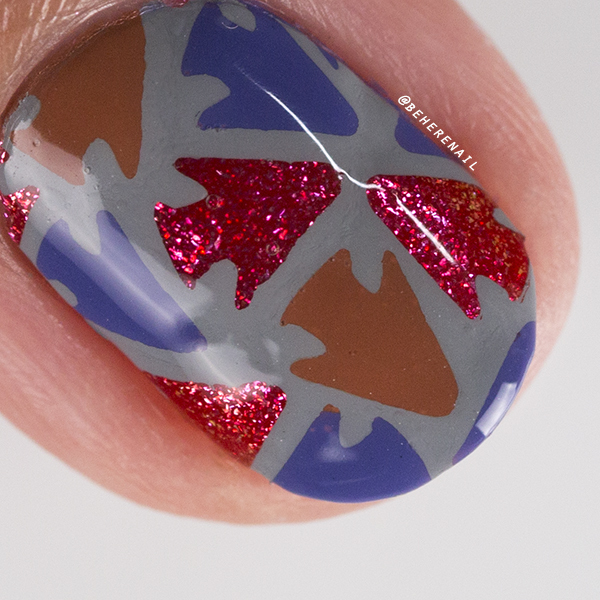 I reverse stamped these arrowheads in Mundo de Uñas Light Grey and did a cute little southwestern skittlette! 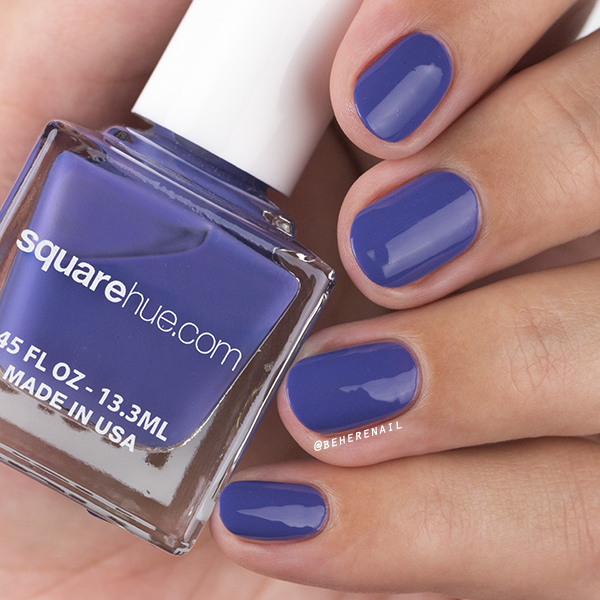 I've got to say I think this might be my favorite Square Hue box to date! I can't get enough of their unique shades and finishes. They've been doing a lot of giveaways lately so be sure to give them a follow, and keep an eye out so you don't miss out! I will see you guys very soon with another pic heavy post! Until next time! 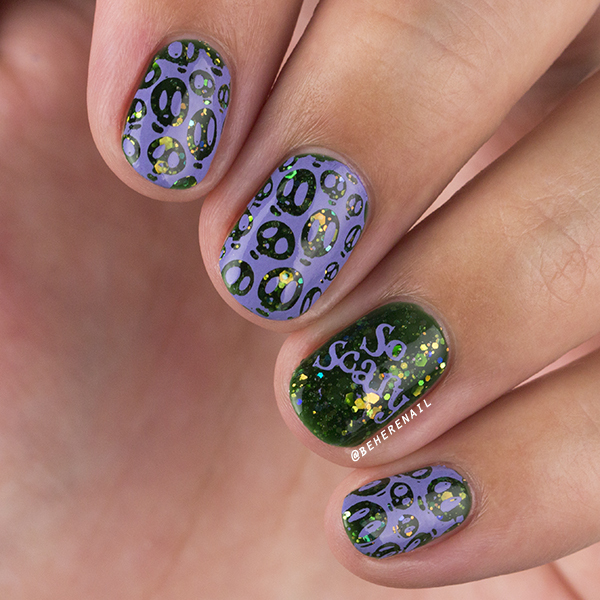 I'm Justine; a nail polish and stamping addict, in love with my indies and the nail art community! 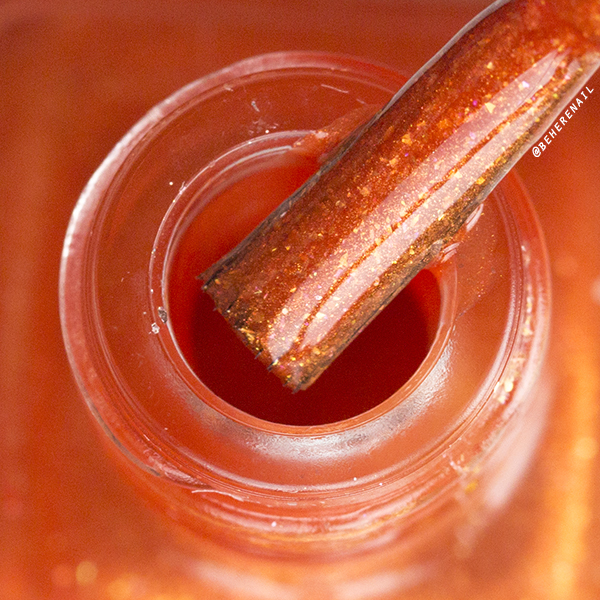 I swatch, I stamp, I macro. 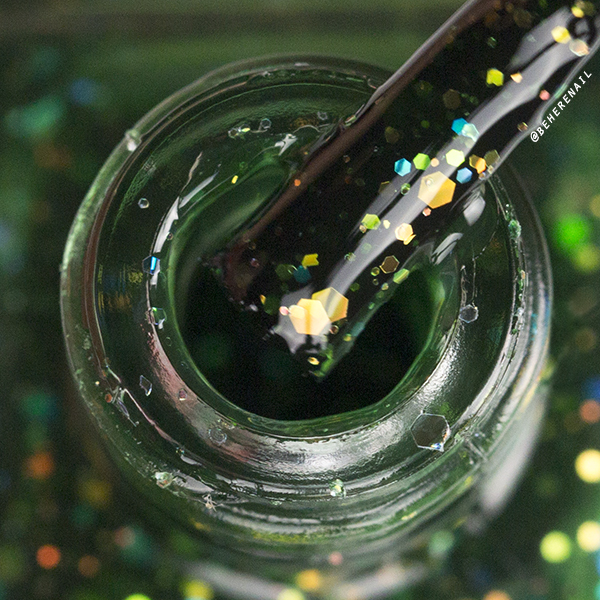 Otherwise here you'll find unconventional shades and finishes, unique nail art items and all things weird and wonderful!